This volume is a companion piece to A Comic Vision of Great Constancy: Stories About Unlocking the Wisdom of Everyman. 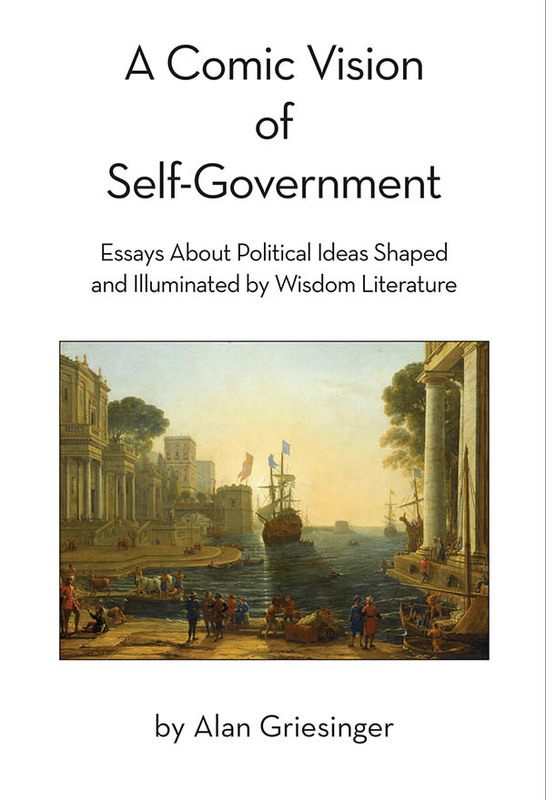 Instead of drawing conclusions about government from the lives of literary characters, A Comic Vision of Self-Government begins with the political ideas of Adam Smith, Edmund Burke, and Paul Johnson and relates them to narrative examples from wisdom literature. Both books credit Wisdom (why not personify her, as the Bible does) for helping a teacher to survive—in the classroom and as a husband and parent. Proverbs 8 begins, “Does Not Wisdom Call Out?” She does indeed, and it’s usually when we’re most in need of her. Comedy outlines a basic form of government. Because it’s non-sectarian, it brings people together. It also teaches us to recognize the voice of wisdom when it calls to us in the affairs of everyday life. Our slip ups and mistakes are physically uncomfortable whether it’s our bottom or our pride that’s injured. When we slip up and fall from casual or willful inattention, the ground of our existence rushes up to meet our bodies, and the rush of awareness that comes of this meeting smacks of wisdom. But over time we lose its meaning unless it’s confirmed in some way. It requires a larger context, a repository of trials and errors that speaks to us cogently of Everyman’s falls. We need a human voice to speak of it as the authors in this volume do. When wisdom calls out, we owe it to ourselves and those we love to pay attention.